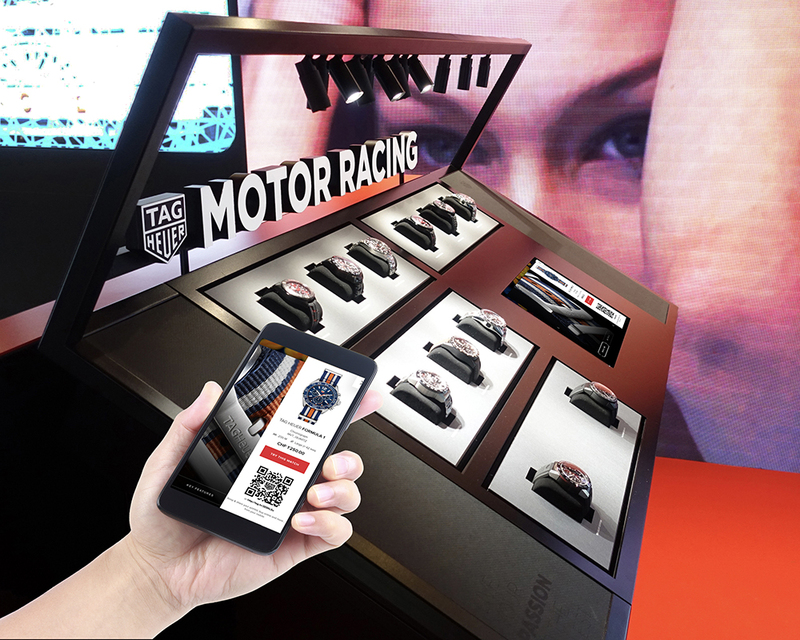 TAG Heuer, a disruptive and avant-garde watch brand since its creation in 1860, reinvents the customer retail experience and presents iTAG, the brand new connected displays imagined by the brand and developed in collaboration with Xavier Dietlin, an inventor of unique showcases. 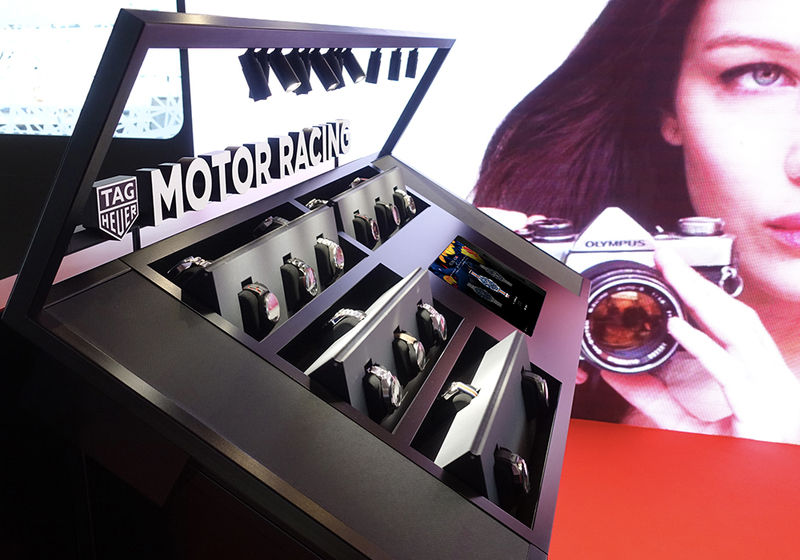 A revolutionary display concept, never seen before in the watchmaking world, offering to the client a full immersion in the universe of the brand through a unique digital and physical retail experience. With just a few clicks on the iPad directly integrated in the display, the client can select his favorite models by browsing either through the universes of the brand or either through the collection of the products. Thanks to a clever synchronization system with the iPad and the iTAG, the watches, on a pivoting support, appear and instantly light up on the display, becoming easily accessible and better glorified. The clients can also save their selection on a mobile device, allowing them to extend the retail experience outside of the boutique. A new system which allows the customer to have full control of the shopping flow. The TAG Heuer sales team is always available and permanently connected to the iTAG through its connected watch, they are informed at any time if the client wishes to try the model of its choice. The sales team now access a new role, interfering in a relevant and sensible way in the client’s experience, or simply as a facilitator. A unique concept which allows the brand to get even closer to the young and ultra-connected generation of today. The iTAG will be exclusively showcased during Baselworld, and will be officially launched on April 09th in the new TAG Heuer concept boutique in Ginza, Japan. The brand will then extend this innovation to two other flagship boutiques, the one on Oxford Street in London, and on the Fifth Avenue in New York.